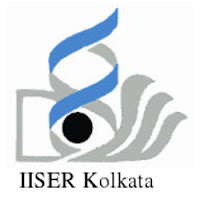 Indian Institute Of Science Education And Research Kolkata (IISER) has released a recruitment notification for 1 post of Project Attendant. Interested candidates may check the vacancy details and apply. Project title-"Engineering improved siRNA based combinatorial nanotherapeutics for managing metastasis and adaptive resistance in breast cancer treatment". Essential Qualification- Bachelor’s degree from any UGC recognized university. Desirable qualification- He/she needs to be comfortable in handling computer. Prior experience in handling animal for in vivo experiment is preferred. How to apply-Eligible candidates should bring one application letter/cover,one hard copy of their detailed Curriculum Vitae (CV), self-attested copies of marksheets and certificates from Std. X onwards and a photo-identity proof. Walk-in interview Date & Time- 26th April 2019 at 11 AM. Venue- APC Ray, room No. 108. The prospective candidates should directly report to Dr. Rituparna Sinha Roy at room no. 108, APC Ray building at IISER Kolkata. Conditions- No TA / DA will be provided to the candidate for the interview. Direction to reach IISER Kolkata- http://www.iiserkol.ac.in/contactus/how-to-reach. Main Research Building in near from Gate No. 7. The decision of the selection committee will be final. The selected candidate may be terminated with a 30-day notice before completion of tenure, if performance till date is not deemed satisfactory.